If you are trying to determine when you should expand your accounting team, here are a few key signs that often suggest it is time. At the end of the day, individuals can only take on so much work. There are only a set number of hours in the day, and the easiest way to expand the work completed in that time is to bring more hands on deck. If your current team is missing deadlines, swamped with overtime or otherwise struggling to keep up, it may be time to expand your accounting team. Maintain communication with your existing accounting staff to identify any issues and see which functional areas involve the most work. Consider bringing on a contract or permanent employee, depending on the workload, to get everything in order. Even if your accounting team is meeting their deadlines, that doesn’t necessarily mean they aren’t understaffed. If the number of errors is rising, that could be a sign they don’t have the time available to spot errors or the speed at which they feel they have to work is impacting accuracy. When it comes to accounting, errors can be detrimental. If you notice there seem to be more mistakes, then it’s possible your team needs more support, and a new hire could be the ideal solution. As a company grows, your accounting needs usually grow too. Every order is an item that must be addressed by your team, and that only scratches the surface of how their cumulative workloads will increase. If your business is in an active growth phase, you need to prepare to expand your accounting team. Speak with your current employees regarding their workloads to see if any increases are becoming difficult to manage. If so, move forward with finding an appropriate candidate based on their needs. If not, it’s wise to monitor the situation, as that day may come faster than you think. Your accounting team should never be shorthanded, as it is a critical part of any business operation. 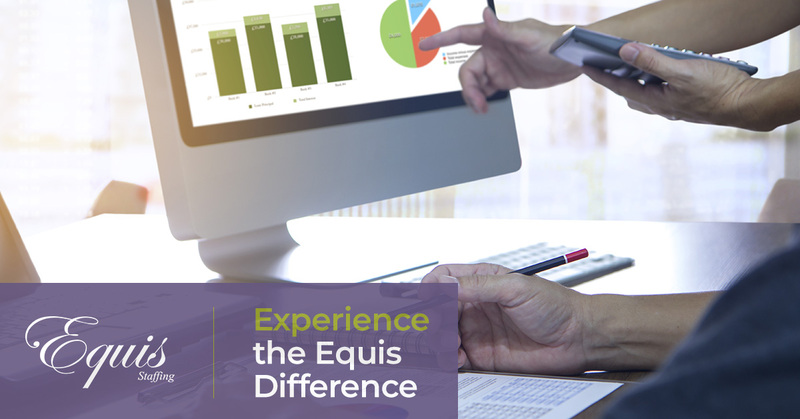 If now is the right time to expand your accounting team, the professionals at Equis Staffing can connect you with top talent quickly and efficiently. Contact us to discuss your hiring goals with our team today and see how our recruitment solutions can benefit you.